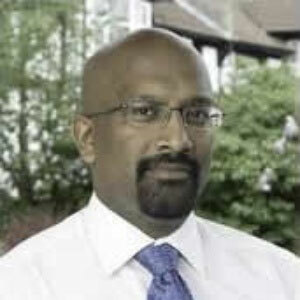 Ram Moorthy was born in London and educated at Dulwich College. He attended the United Medical and Dental Schools of Guy’s & St Thomas’ Hospitals, London and qualified in 1999. During his time at medical school he embarked upon a year of further study and was awarded a B.Sc in Clinical Anatomy in 1996. He started higher surgical training in ENT in 2003, initially in the West Midlands before transferring to the South East Thames region in 2006. He also spent a year training in tertiary level paediatrics at the Evelina Children’s Hospital and Great Ormond Street Hospital, London. He was awarded FRCS(ORL-HNS) in 2007. Towards the end of his general ENTac training he decided to pursue supra-specialist training in head & neck surgery and successfully obtained a prestigious National Interface Fellowship in head & neck surgical oncology at the Queen Elizabeth Hospital, Birmingham. Following completion of his fellowship he started as a Consultant ENT surgeon at Wexham Park Hospital and Honorary Consultant ENT surgeon at Northwick Park Hospital in April 2011. Mr Moorthy undertakes a full general ENT practice for adult and children at Wexham Park Hospital as well as performing major head & neck cancer surgery at Northwick Park Hospital. He is part of a specialist head & neck cancer clinic at Mount Vernon Hospital and is a core member of the head & neck cancer team, which is based at Mount Vernon and Northwick Park Hospitals. Mr Moorthy has a long-standing interest in medical education and training. He is the educational supervisor for ENT trainees at Wexham Park Hospital and is a member of the regional specialty training committee. He has been an honorary clinical lecturer at the University of Birmingham and a faculty member on a number of courses for both junior doctors and medical students. He has co-authored two chapters in the 5th edition of Stell & Maran’s Textbook of Head & Neck Surgery and Oncology. He has undertaken and participated in a number of studies, which have been published and presented at national and international meetings. Mr Moorthy has also held a number of high profile positions at the British Medical Association including Chairman of the UK Junior Doctors Committee and Deputy Chairman of the Board of Science.